This is a sponsored post but I only speak the truth! I’ve jumped on the decoupage bandwagon – thanks to Martha Stewart Decoupage. It all started with this beauty. I’ve come a long way from my kindergarden days when I created decoupaged masterpieces that my mother was forced – I mean thrilled – to display. I probably ate most of the decoupage paste but didn’t we all (or was that just me)? Anyway, enough reminiscing about my paste eating days. I may have been living under a rock because I had no idea that this new decoupage medium is dishwasher safe and waterproof! Forget about a boring old guest bathroom drinking glass – let’s impress our guests with this! 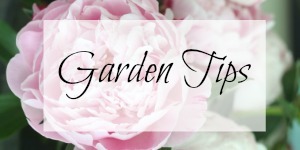 9) When dry, apply a thin layer of decoupage medium to the entire surface of the glass (up to the patterning tape) making sure to seal the edges of the cut-outs then allow to dry for two hours. 11) Let the glass air dry for 21 days to cure when it will be top rack dishwasher safe! 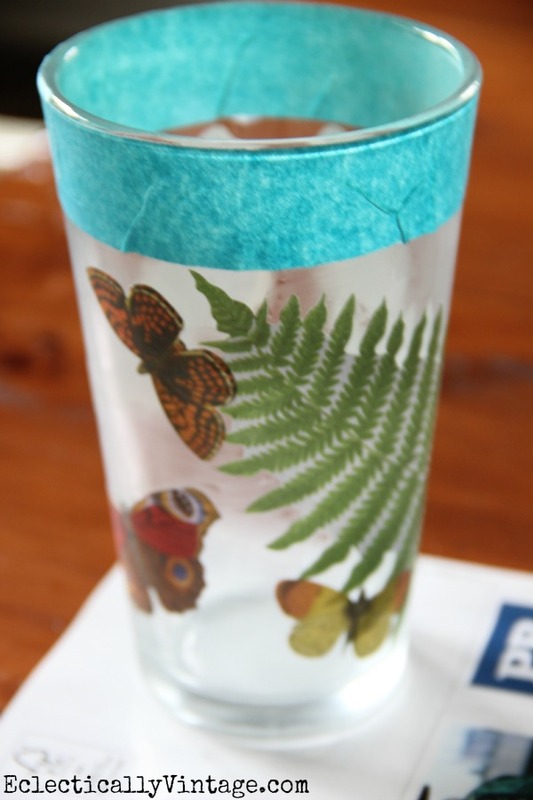 Note: The glass will take on a frosted look with the decoupage medium – which I love! hope that doesn’t mean my guests will never leave! Find the full line of Martha Stewart decoupage at Michaels. Visit Plaid on Facebook, Twitter, Pinterest, or their blog. This is a sponsored post through Plaid and Blueprint Social but I only speak the truth – see my full disclosure policy here. Well this is just awesome! Great, now I’m going to be decoupaging everything! Wow! I didn’t know about this stuff either! I love Martha Stewart’s craft products. I am going to have to try this. I love to decoupage so this project is a “must try” for me! I love it Kelly! Awesome idea. I might have to make a plate for my wall with Martha’s new decoupage line. Kelly very cool project and what a great idea. Love it!!! 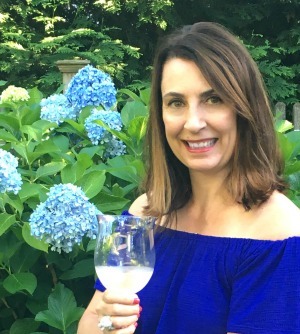 I have actually painted on drink glasses before, but I love this beautiful and easy method! !…a great project..Just beautiful! Your glass look so pretty, lots better than a plain one. I’ll have to check out glasses at $tree. We have two of them Grand Junction, both seem to have different products at times. 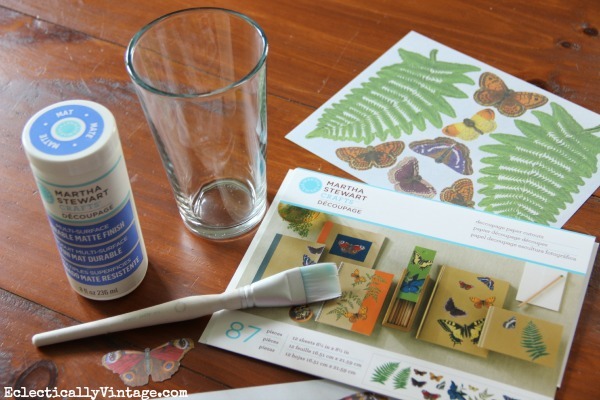 Would be fun to try this and I love the frosted look the decoupage glue puts on the glass. I have a nice sized glass plate that would work so nicely with this technique. I also have some wood plates I could use. Been trying to decide what I’d use them for since I got the wood plates at thrift store awhile ago. Can hardly wait to get to Michaels to get the decoupage papers and the decoupage glue. Hopefully our Michaels will have all the products at hand. Sometimes the Michaels in Grand Junction is slow to get new products. I decoupaged a vase for MIL, labels back onto old wood grocery crates, but never thought of glass ware. I used a competitor though, tsk, tsk. Add that to the list of “I want to do” once I get my desk back–story for another post or three. Looks great. 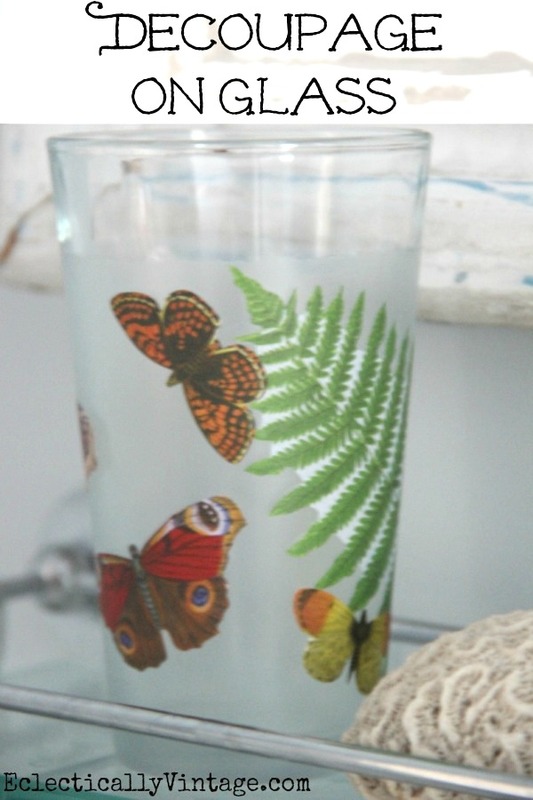 Your glass is so pretty!I have been waiting for a decoupage medium that can be used on everything and is washable. Thanks Martha Stewart! I’ll be picking up a bottle soon. Am correct in assuming that Mod Podge won’t work for this? Hi Louise – I didn’t put my glass in the oven so I’m sorry that I can’t offer any suggestions for you.